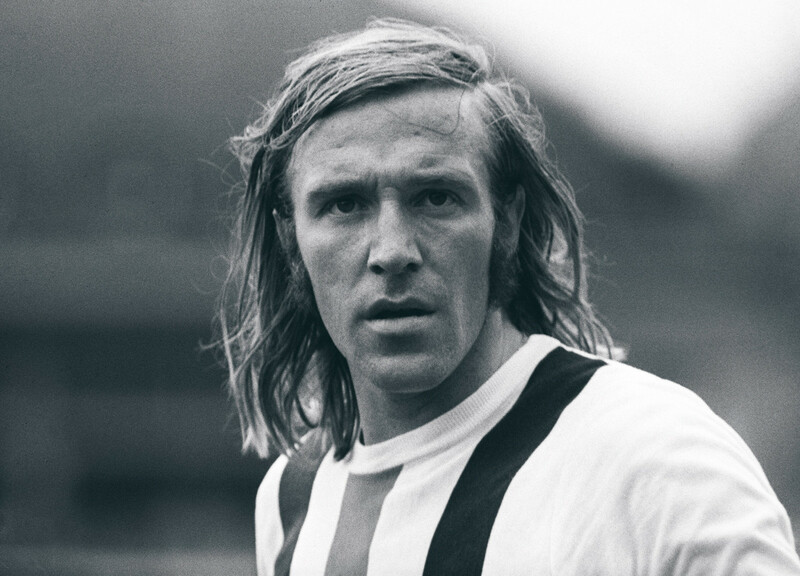 On 5 November 1936, a German football star was born. No, not the acclaimed Gerd Müller, but instead a Hamburg legend who lived outside the media spotlight. He went by the name of Uwe Seeler. Born into a family that was surrounded by sport, brother Dieter was enrolled to the HSV football team, whilst sister Gertrude was a member of Hamburg’s handball team. After turning just 10, Seeler was also enrolled into the youth setup at Hamburg. 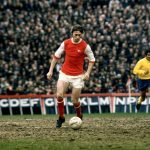 Little did fans know but he would turn out to be their best player, a feat which saw him win the West German Player of the Year accolade on three occasions. The sensation was far from the stereotypical looking forward, and at just 12-years-old, Seeler was already a force to be reckoned with in the youth squad. To have the intellect at such a young age, Seeler was often called names by his team-mates, most noticeably “fatty” – the centre-forward took this in his stride with his humble personality. The third player of the famous surname to don the famous red shorts, Uwe was the stockiest player of the bunch – but that came with its advantages. The equivalent of South American forwards in today’s game, Seeler was stocky, good in the air and possessed a low centre of gravity. A fighting character, not many German teams had seen this type of striker before, and little did they know just how successful he would become. In that same team, Sepp Herberger – the West Germany head coach – had his eyes on Uwe’s older brother, Dieter. In 1949, the national team coach spoke to the sports-mad family, holding praise for Dieter. Ironically, that meeting perhaps shaped Uwe’s future in the national team. “Wait until you see our little one,” Erwin Seeler’s wife Anni told Herberger. Just three years later, Uwe was in the West Germany squad for the 1953 FIFA Junior Tournament. After starring for West Germany at that tournament, Herberger was faced with a tough decision. Does he call up the young 18-year-old prodigy after success in Belgium? Or does he rely on players such as Hans Sturm and the ageing Aki Schmidt to provide the threat going forward. Seeler found himself being coached by the great Herberger just months later, despite missing out on the 1954 World Cup squad. The youngster was amongst West Germany’s biggest names just four years down the line. The team that represented West Germany in Sweden in 1958 did involve the Hamburg forward. But it was elsewhere that the problems laid for Herberger. For West Germany, Rot-Weiss Essen’s Helmut Rahn returned to the national team – albeit with a drinking problem which resulted in him drink driving and spending two weeks in prison during 1957. As a result, the German FA (DFB) banned him although Herberger argued his case; he was soon back in the squad for the 1958 World Cup, albeit overweight. Seeler made the squad at just 21 but Sepp Herberger faced a dilemma elsewhere, namely who to play in midfield? It was Kaiserslautern’s Fritz Walter, at the ripe old age of 37, who was called upon by Herberger to link midfield and attack. At the time, the problem that faced Herberger was the fact that players were either too young or too old. Although he may not have thought it, Seeler would be the key protagonist in this West Germany side for almost two decades, which saw him score vital goals to propel the West Germans to new heights before the next generation of players. Seeler’s first outing for West Germany at a major tournament exceeded expectations. The 1958 World Cup in Sweden followed similar storylines to those in the past. Just two minutes into the opening fixture, West Germany were behind. After Herberger argued his case to include Rahn in his squad, the Rot-Weiss Essen forward soon repaid the faith shown by the coach with two goals against Argentina, but the story of that day was Seeler scoring his first for West Germany in an international tournament. 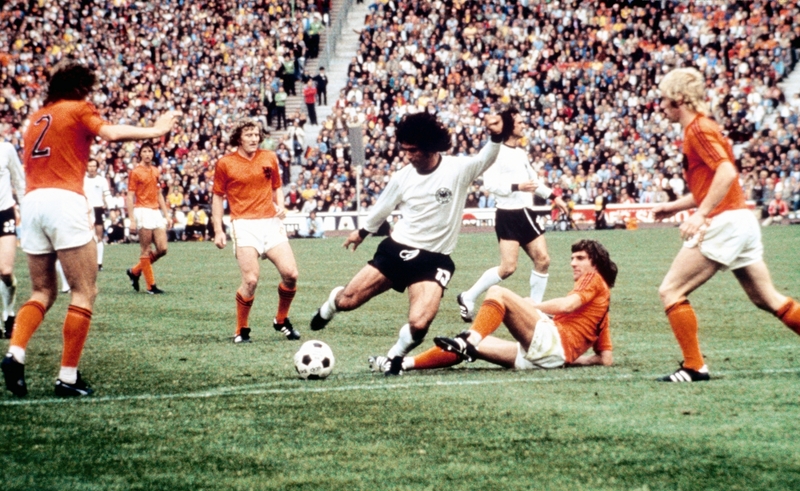 A 2-2 draw against Czechoslovakia followed, which meant that heading into the final group game against Northern Ireland, West Germany needed at least a draw to advance to the knockout stages. As ever, the Germans went behind again before Rahn equalised minutes later. One thing was for certain, and that was that Herberger didn’t make it easy on himself. Once again West German found themselves behind with 30 minutes remaining, but it was time for the Hamburg forward to step up and score the equaliser, sending the travelling support and everyone at home into a frenzy. At just 21, Seeler was relishing the big matches, sending West Germany into the knockout stages. West Germany had a relatively easy game Yugoslavia, but it was against hosts Sweden that their journey ended. Herberger’s side took the lead, and though it was Köln’s Hans Schäfer who broke the deadlock, it was all down to a youngster called Uwe Seeler. His standout performance against the eventual runners-up would propel him on to greater things at domestic level after assisting West Germany’s only goal against the hosts in a 3-1 defeat. It wasn’t just on the international scene that Uwe Seeler was reaching new heights. After impressing for Hamburg’s youth teams, he soon got his call to play for the first team in 1953. The third Seeler to play in the famous red shorts, he scored 28 goals in 30 games in his debut Oberliga Nord season, soon followed by 32 goals the season after and then 31. Seeler was a player to be reckoned with. After Hamburg missed out on a place in the German Championship final in 1956, this only spurned Seeler on to further success. His goals in 1957 took Hamburg all the way to the final, losing against Helmut Schneider’s famed Borussia Dortmund team. Again, in 1958, Günter Mahlmann’s Hamburg reached the final but it was the same story; a second final, and a second defeat. This time it was against Schalke. Perhaps it would be third time lucky? In 1960, 70,000 fans travelled to Frankfurt am Main to see Hamburg take on Köln. Under the tutelage of Oswald Pfau and President Franz Kremer – who was already preparing for a nationwide league – Cologne were seen as the superior team in terms of stability. However, they didn’t have Uwe Seeler. Hamburg found themselves a goal down after 53 minutes, but just seconds later Seeler found the equaliser. Ten minutes after taking the lead, Hamburg again found themselves on level terms after Köln’s Christian Müller equalised four minutes from time. What happened next propelled Seeler to stardom. Charly Dörfel chipped a free-kick to Klaus Stürmer who put the ball into the path of Seeler; he became a hero as he slotted the ball past Fritz Ewert to finally clinch Hamburg a long-awaited German championship. Frenzy followed and the city of Hamburg united. Seeler was later crowned German Player of the Year, while Hamburg would now play their football on the European scene. In a quarter-final tie against English side Burnley, the German champions lost the first leg away from home 3-1. On home turf, however, Hamburg were a forced to be reckoned with. A 4-1 victory, which set up a tie against Spanish giants Barcelona, included two goals from Seeler. The main protagonist in this Hamburg side soon hit continental newspapers. Headlines in Germany read Uns Uwe – Our Uwe. Seeler scored Hamburg’s second goal against Barcelona in the second-leg, which would have seen them advance to the European Championship final, but disaster soon struck. An intercepted back-pass from Seeler saw Sándor Kocsis score, as a result taking the game to a playoff fixture. Sadly for the Germans, they lost the third game to Barcelona in Brussels. Four years after his debut in a major tournament in Sweden, Seeler was once again called up to the squad for the 1962 World Cup in Chile. Sepp Herberger wanted a 40-year-old Fritz Walter back in the squad but his legs were no longer up to the task of international football. Instead, players such as Hans Sturm – who previously had two caps –were called into the limelight. Unfortunately for Germany, it just wasn’t to be their tournament. Despite remaining unbeaten in the group stages, Die Mannschaft could only manage a draw against Italy in the opening fixture, during which Uwe Seeler hit the bar, before recording a win against Switzerland. Needing a result against hosts Chile, West Germany put two goals past the South Americans, with Seeler scoring his second of the tournament. Progress to the knockout stages set up a tie against Yugoslavia – the team they sent home in 1958. Now, however, it was time for Eastern Europeans to get their revenge. Petar Radaković sent West Germany packing five minutes from time in Santiago. The media back home heavily criticised the performance of West Germany under Herberger at the 1962 World Cup, which led to his eventual resignation two years later and saw him replaced by Helmut Schön. Despite a poor showing for West Germany in 1962, Seeler still had his native Hamburg to fall back on. A cult hero for Die Rothosen, Internazionale manager Helenio Herrera wanted to meet with Seeler to make him an offer he supposedly couldn’t refuse. With a signing-on bonus of DM500,000 and a salary of DM155,000 on the table, Seeler turned to Herberger for advice. For once, Uwe needed time to think. For a German player to play his football abroad, it would have been likely that he may not have featured for the national team again, as this seemed the case with those who had done so in the past. The city of Hamburg wanted him to remain in the place he grew up. So much so that the Dean of Hamburg University wrote Seeler a letter: “If you manage to withstand the temptation, that would be a radiant signal, giving people cause to reflect on their ways,” it read. The head coach of the national team didn’t want him to play his football abroad either. Herberger landed Uwe Seeler a well-paid job with Adidas, where he became an ambassador for the brand. Down to earth and a straightforward human being, Seeler opted to stay in Hamburg. The same couldn’t be said for Klaus Sturmer, who left for Zürich FC, and Helmut Rahn, who joined Enschede for DM100,000. Rich clubs from foreign countries were starting to poach the best players from Hamburg. Founded in 1962 in Dortmund, Germany soon had a nationwide league, something that Cologne President Franz Kremer had prepared for. The first season, which ran from 1963 to 1964, saw Uwe Seeler win the Golden Boot for his brilliant return of 30 goals. He could have scored more had it not been for one fateful afternoon against Frankfurt. Under the challenge of Georg Lechner, Uwe Seeler heard what he thought was a crack of bones: “What Seeler thought was a kick was actually the intense pain triggered by the player’s Achilles tendon [tearing],” said the Frankfurt physio. On that afternoon in mid-February 1965, the career of Germany’s most liked footballer looked to be over. At the age of 29, not many players feature on the pitch again following an injury of that magnitude. But Seeler had a never say never attitude. Four months into his job as national coach, Helmut Schön had no Uwe. During that summer, Seeler spent his days in the gym, losing weight to ease the strain whilst he went for runs on the soft beaches in northern Germany. An ambassador for Adidas, boss Adi Dassler created a special boot for him to ease the tenderness. Four weeks before a crucial tie for the qualification of the 1966 World Cup in England, Uwe Seeler returned for Hamburg. The eyes of Helmut Schön would have lit up. He once again had a striker who he could rely on. In September 1965, Seeler returned to the West Germany team in a game against Sweden, captaining the side and scoring the winning goal that took the Germans to England. During the competition, Seeler wasn’t the player he once was but he was influential nevertheless. Scoring West Germany’s third goal against Uruguay in the quarter-finals set up a tie against the Soviet Union. A 2-1 win meant they would be playing England at Wembley. One of the World Cup’s most memorable finals saw West Germany lose but, as always, Seeler was gracious in defeat. The captain rarely had a bad thing to say about his opponents: “The England team was exceptional and worthy of the title. We accepted the outcome the way good sportsmen do and the whole tournament was a fantastic experience for all,” said Seeler. For Seeler there was just one more World Cup outing: Mexico 1970. There was a new German star born at that tournament, one who would later go by the nickname of Der Bomber, Gerd Müller. As the Germans bowed out with a third-place finish, so did Seeler in what was to be his final World Cup outing. A hero for club and country, Seeler won the German Player of the Year for the third time in 1969. Seeler by this point had won a number of accolades on both the national and international scene, which gained him a cult following, despite not being one to ask for the attention. 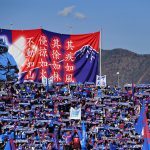 Upon retirement, he owned sporting merchandise brand and a petrol station before a spell as president of HSV between 1995 and 1998. 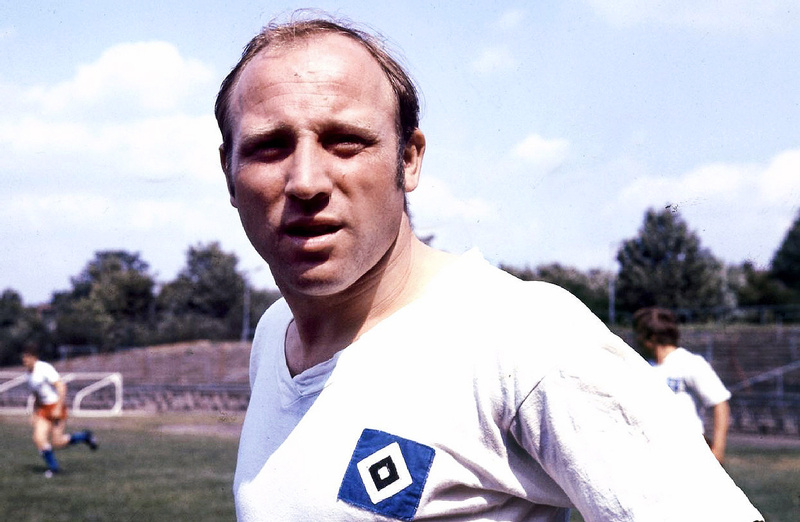 Down to earth, Uwe Seeler was to become an honorary citizen of Hamburg in 2003 – the first time the honour was bestowed to a sportsman in the city. In 2005, the club that he played his whole career at – apart from a friendly for Cork Celtic – unveiled a giant monument of his right foot. With 404 goals for Hamburg in 476 appearances – not to mention 43 in 72 for the national team – Uwe Seeler had every right to be labelled as one of the best ever footballers to grace this planet. Perhaps that’s why, to this day, many HSV fans regard him as the greatest German footballer of all.